Even after missing 3 months of the season, Jake was the clear winner of the IER Metropolitan Apprentice Jockey Premiership trophy presented at the Victorian Thoroughbred Racing Awards dinner at Crown on Sunday night. We were all incredibly proud of Jake, who rode 86 winners for the season (strike rate of 12.26%), which was over 20 wins more than his nearest rival, a great effort, especially when considering he has missed the last 3 months of the season. 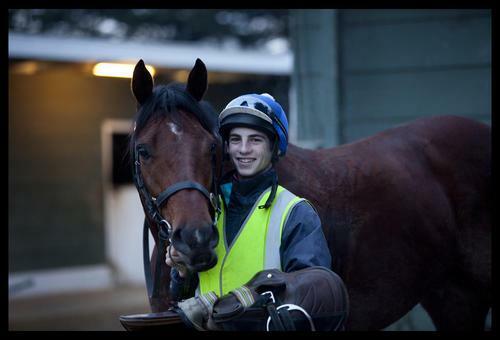 We are all looking forward to seeing Jake back at the track hopefully very shortly. More news on the Victorian Thoroughbred Racing Awards can be found on the Racing Victoria Website.